These challenges were not just empty words with no one caring to prove them wrong. Prophet Muhammad’s call to monotheism, to the abolition of idolatry in all its forms, and to the equality of slaves and their masters threatened the whole socio-economic framework of Mecca society in general, and the position of the ruling Quraishee tribe from which the Prophet came in particular. Mecca, the trading center of Arabia, as well as its spiritual center, desperately wanted to stop the spread of Islam. Yet all that the Prophet’s opponents had to do to crush the movement was to make up a single chapter like any one of those which the Prophet and his followers were reciting to the people. 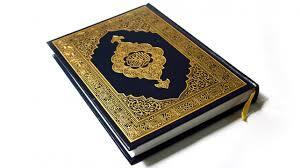 A number of Quraishee orators and poets tried to imitate the Quran, but they failed. They then resorted to offering him vast amounts of wealth, the position of king over them, and the most noble and beautiful of their women in exchange for his promise to stop inviting people to Islam. He responded to them by reciting the first thirteen verses of Chapter Fussilat, until they asked him to stop. The Quraish also resorted to torturing their slaves and relatives who had embraced Islam in a vain attempt to cause them to revert to paganism. Later they organized an economic boycott against the Prophet, his followers and the members of his clan, Banoo Haashim, in an attempt to starve them into submission. But even this plan eventually failed. Finally, they plotted to kill him in his home by sending armed young men from each of the clans of Quraish in order that the guilt of his murder be shared by all the clans, making revenge by the Prophet’s clan impossible. However, God enabled the Prophet and his followers to flee Mecca and join a new band of converts who had arisen among the tribes of a city to the north called Yathrib. Islam spread rapidly through the clans of Yathrib, and within a year Muslims became the city’s majority. Prophet Muhammad was then made the ruler, and the name of the city was changed to Madinatun-Nabee (The City of the Prophet), which was then shortened to “Medina.” Over the next eight years, the clans of Mecca and its neighboring lands mounted a series of unsuccessful battle campaigns against the emerging Muslim state in Medina, which ended with the Muslim invasion of Mecca itself. All of this bloodshed could have been avoided if only the Quraish and their allies had been able to produce a mere three lines of poetry or flowing prose similar to the shortest chapter of the Quran. Hence, there can be no doubt about the inimitability of the Quran’s literary style, about the miracle of its rhyme and the marvel of its rhythm. It has been suggested that the inimitability of the Quran is not necessarily unique, for great English poets like Shakespeare, Chaucer, or great poets in any language tend to have distinctly unique styles which set them apart from their contemporaries. However, if, for example, some leading poet of today were to make an in-depth study of Shakespeare’s writings and write a sonnet in Shakespeare’s style in old ink and on old paper, then claim that he had discovered a lost poem of Shakespeare’s, the literary world would probably accept this claim, even after careful study. Thus, even the greatest of poets could be imitated, no matter how unique his style was, just as the famous painters have been imitated. [In fact, some English scholars consider much of what has been attributed to Shakespeare to have been written by his contemporary, Christopher Marlowe.] The Quran, however, is way above this level, as attempts to forge chapters have been made throughout the ages, yet none has withstood close scrutiny. And, as was mentioned before, the incentive to imitate the Quran was more intense during the time of its revelation when literally skills were at their peak than at any other time, yet there was no successful attempt. Collected by al-Haakim, al-Bayhaqee, Aboo Ya’laa and Ibn Hishaam, and declared hasan by lbraaheem al-’Alee in Saheeh as-Seerah an-Nabaweeyah, p.64.